Available in Light Grey. Offers resistance to moisture ingress and fungal growth. 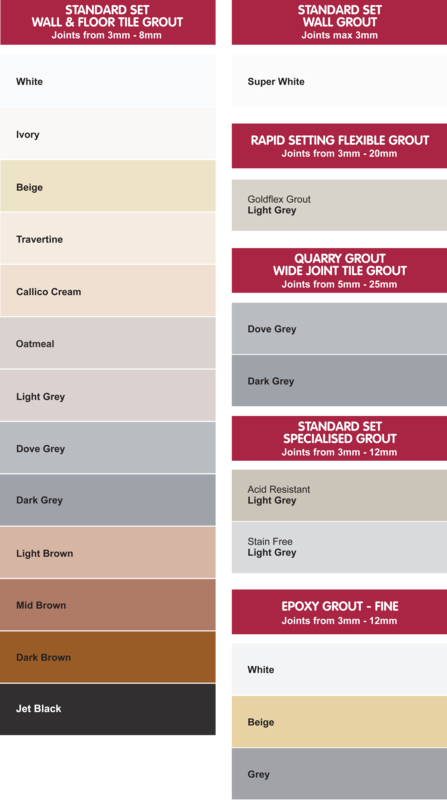 A quick-setting grout designed to provide a durable, scratch and water resistant finish in high traffic and heavy traffic commercial installations such as retail centres and stores, car showrooms, etc as well as exterior installations. 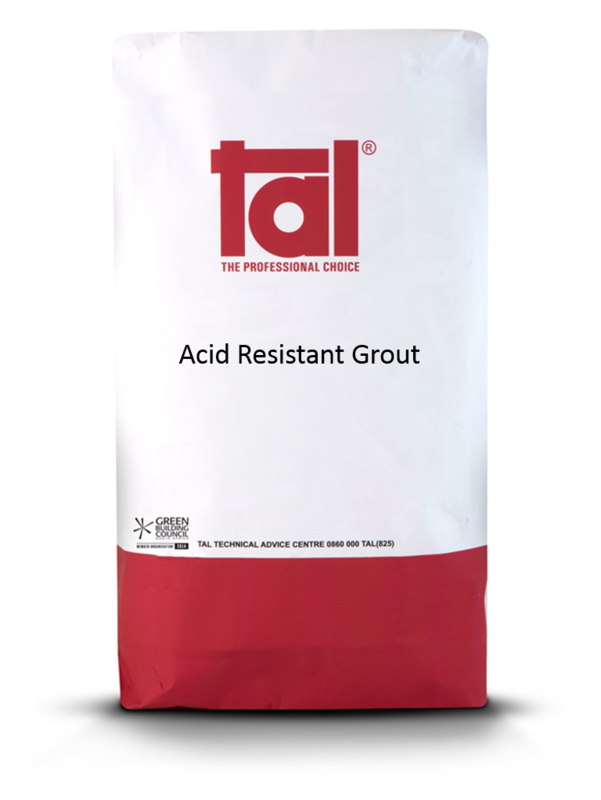 Provides good resistance to mild organic acids in special locations such as dairies, abattoirs, citrus plants, and industrial/restaurant kitchens. Available in White and Dove Grey. 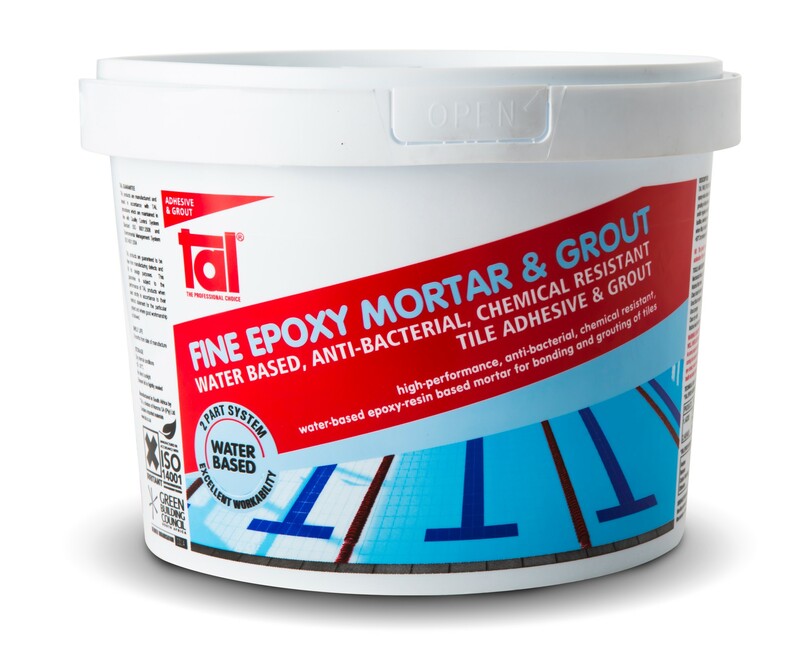 TAL Fine Epoxy Mortar & Grout is a 2-Component, Water Based & Cleanable High-performance Epoxy-resin non-sagging adhesive ideal for bonding tiles to walls and floors, and can also be used for subsequent grouting.TAL Fine Epoxy Mortar & Grout is ideal for installation areas where chemical resistance and good hygienic conditions are important, such as abattoirs, breweries, dairies, hospitals, food and beverage production and preparation areas, swimming pools, bacteria and mould-growth areas as well as, areas subjected to high-pressure hosing and steam cleaning, etc. Initial set: 1 hour, full set 5-6 hours with full service in 7 days. 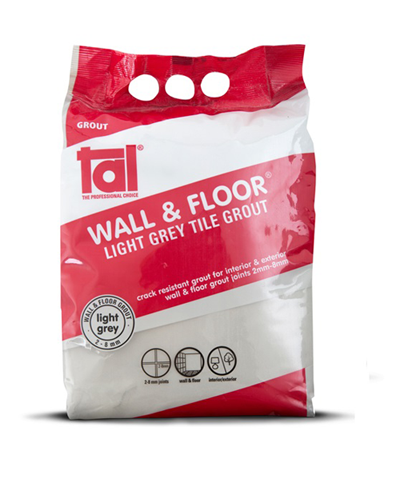 Cementitious grout suitable for filling wall and floor tile joints between 2 – 8mm wide. Available in a variety of colours. Offers resistance to moisture ingress and fungal growth. For a video demonstrating the use of this product, please follow the link. 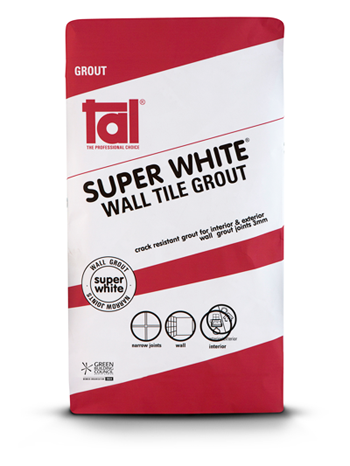 TAL SUPER WHITE WALL GROUT is suitable for filling wall tile joints between 2 - 3mm wide, and offers resistance to moisture ingress. 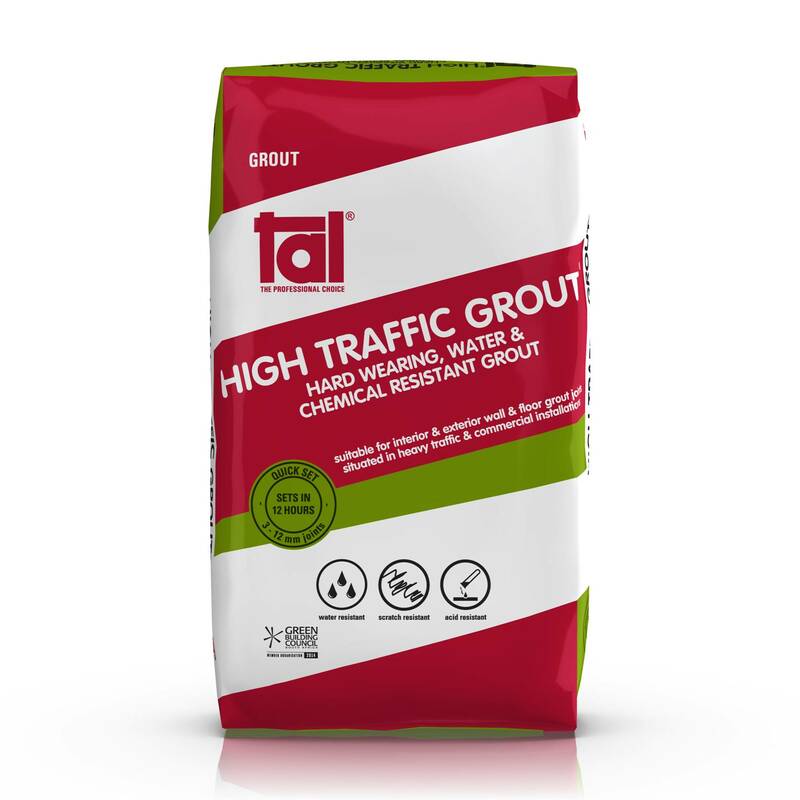 Cementitious grout suitable for filling wall and floor tile joints between 5 – 25mm wide. Available in a variety of colours. Offers resistance to moisture ingress and fungal growth. A cementitious grout specially designed to minimize the staining of highly porous tiles, such as sandstone and slate, overcoming the ‘picture frame’ effect encountered with standard grouts. 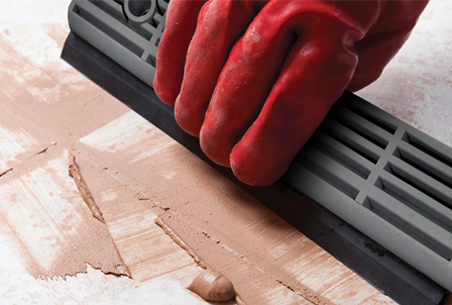 Suitable for filling wall and floor tile joints between 3 – 12mm wide. 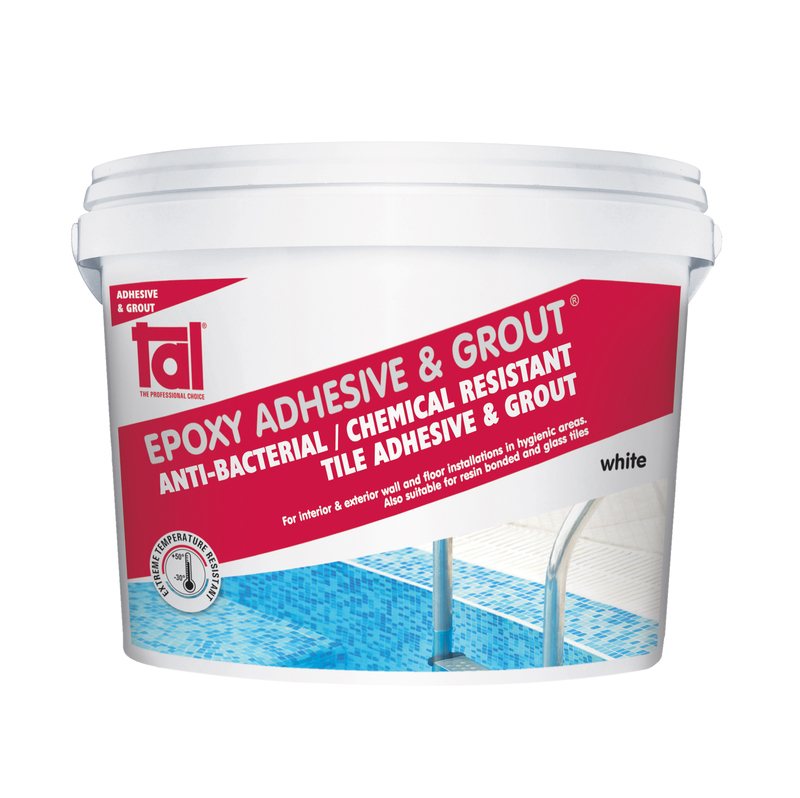 TAL EPOXY ADHESIVE & GROUT is a high performance, 3-component epoxy-based adhesive for fixing tiles to walls and floors, and can also be used for subsequent grouting. 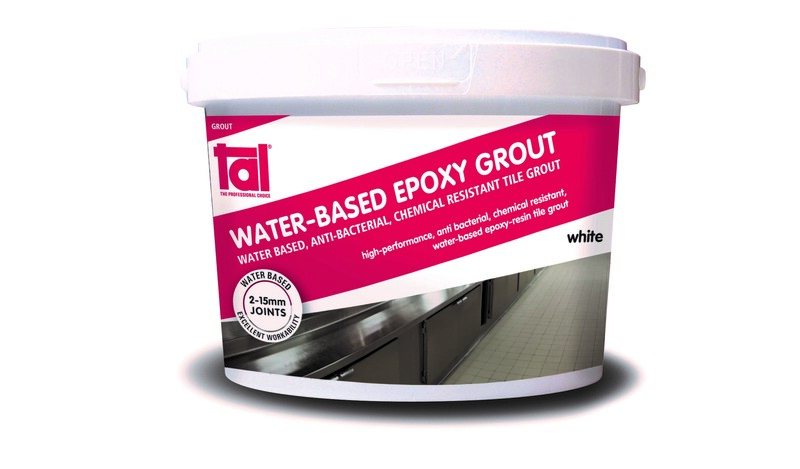 TAL EPOXY ADHESIVE & GROUT is suitable for use with glass tiles/mosaics and resin bonded tiles, and is ideal for installation areas where chemical resistance and good hygienic conditions are important, such as abattoirs, breweries, dairies, hospitals, food and beverage production and preparation areas, swimming pools, bacteria and mouldgrowth areas, etc. Available in Natural (light beige-grey), and also in White as a special order. 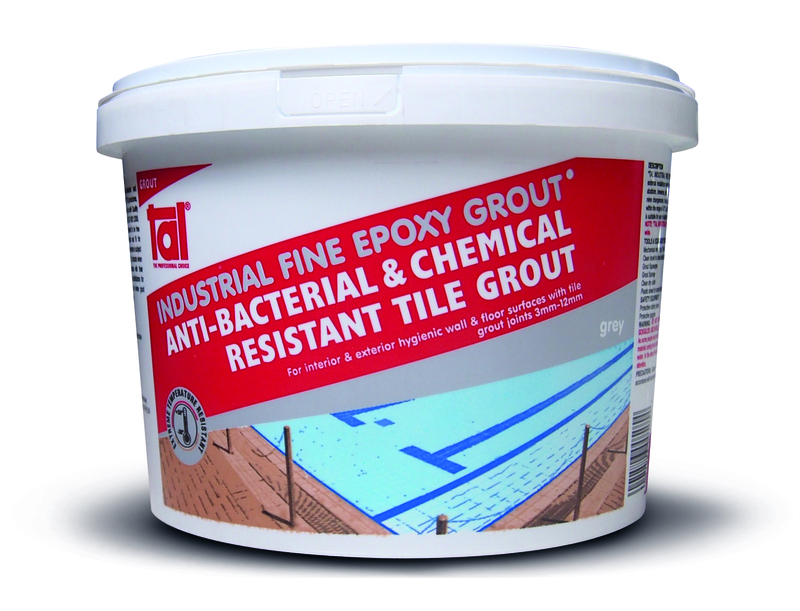 A 3-component high-performance epoxy-based grout ideal for applications where chemical resistance and hygienic conditions are extremely important, such as abattoirs, breweries, dairies, food and beverage production and preparation areas, hospitals, mine changerooms, swimming pools, bacteria and mould growth areas, etc. Suitable for areas subjected to steam cleaning.Suitable for filling wall and floor tile joints, minimum 3mm wide. Available in White, Beige and Grey. 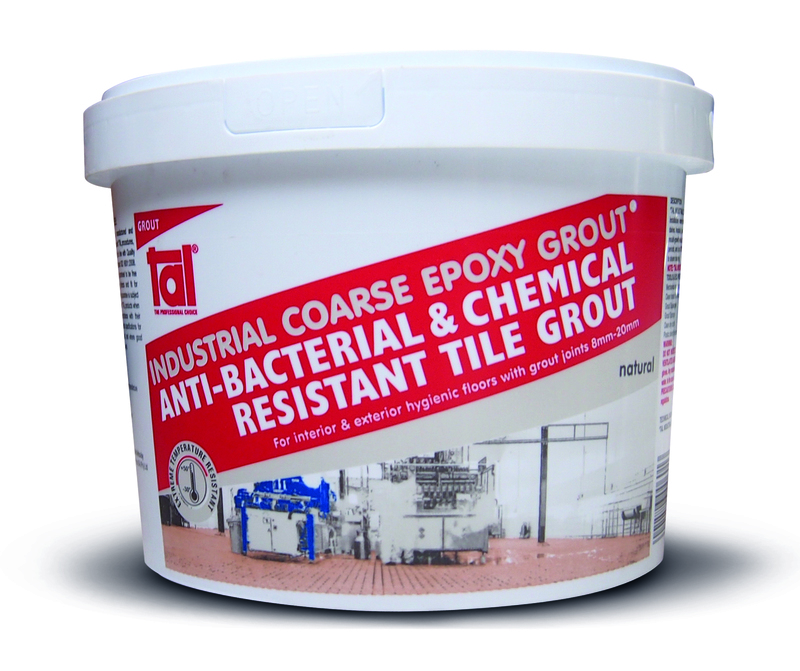 A 3-component high-performance epoxy-based grout ideal for applications where chemical resistance and hygienic conditions are extremely important, such as abattoirs, breweries, dairies, food and beverage production and preparation areas, hospitals, mine changerooms, bacteria and mould growth areas, etc. Suitable for areas subjected to steam cleaning.Suitable for filling floor tile joints, minimum 8mm wide. Available in Natural. Beige, Brown & Grey colour sachets available to order. Disclaimer: Every effort is made to reproduce these sample colours as faithfully as possible. However, due to reproduction limitations, it is necessary that we reserve the right of reasonable variation. Colour will vary due to differences in screen resolution, surface texture, lighting and methods of application.